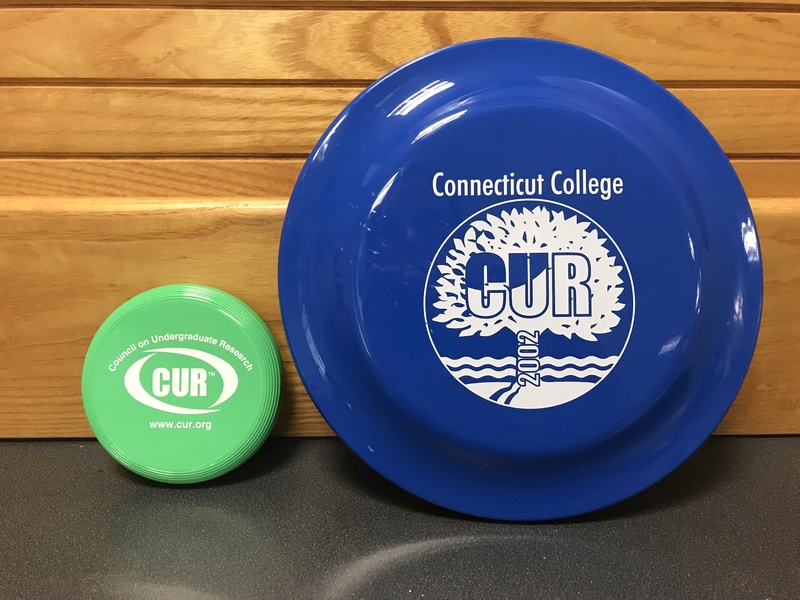 At the recent 2018 CUR Biennial Conference (see my blog post summarizing my conference experience), the Council on Undergraduate Research provided attendees a conference bag with some swag – including a small, green frisbee with the CUR logo. Immediately, the clever faculty, undergraduate research program directors, administrators, and CUR staff started having fun with photographing their CUR frisbee around the conference. You can see the tweets with the hashtag #CURfrisbee which seem to have been started by Nicholas Rowland, a faculty member at Penn State Altoona. But this isn’t the first time CUR conference attendees received a CUR frisbee. My first CUR conference was in June 19-22, 2002, at Connecticut College. 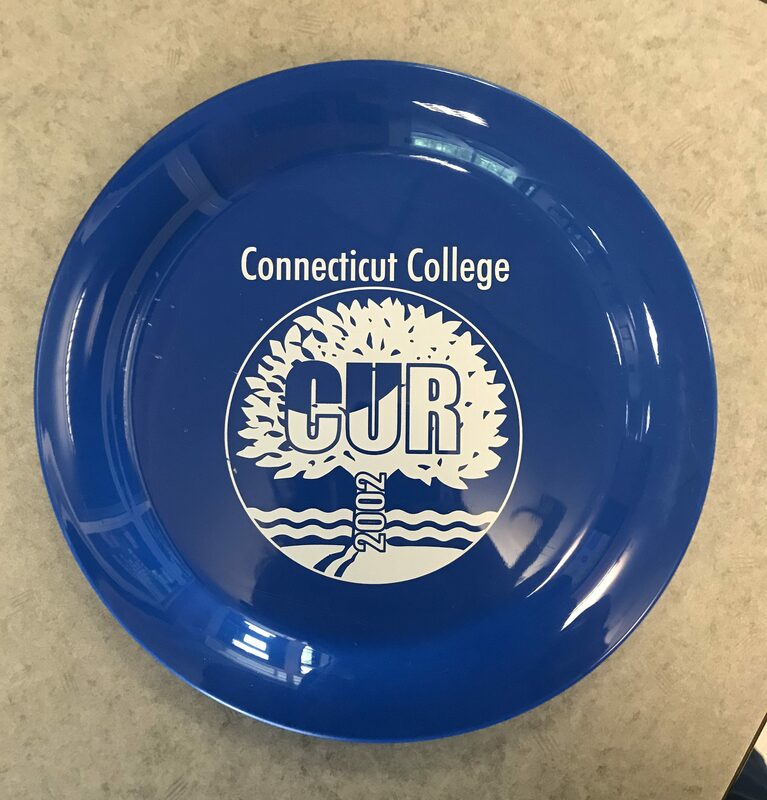 At that 9th national CUR conference with the theme Undergraduate Research for All, the ~610 attendees received a full-size blue CUR frisbee (which, yes, I still have!). 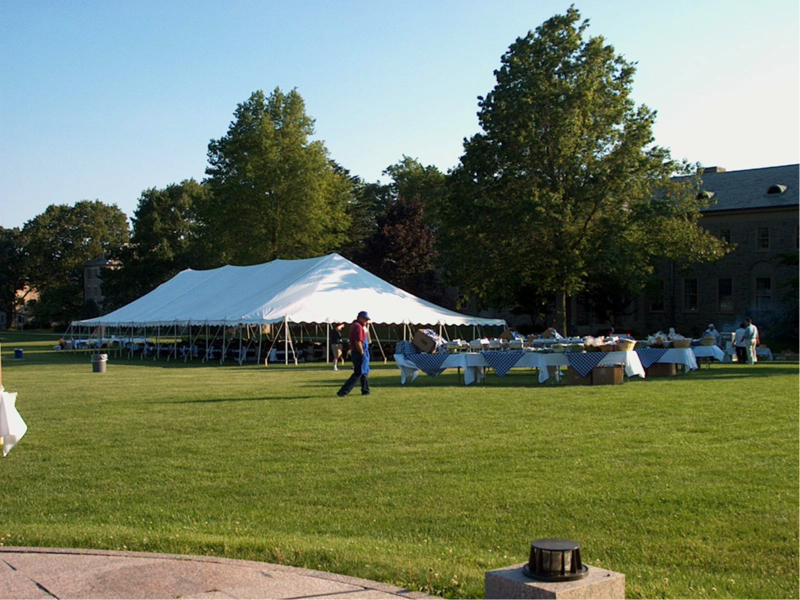 As I recall, the frisbee was provided during one of the evenings we had dinner on campus (it was either the BBQ dinner or lobster bake) and served as a support for the plate of food as we moved through the buffet line. 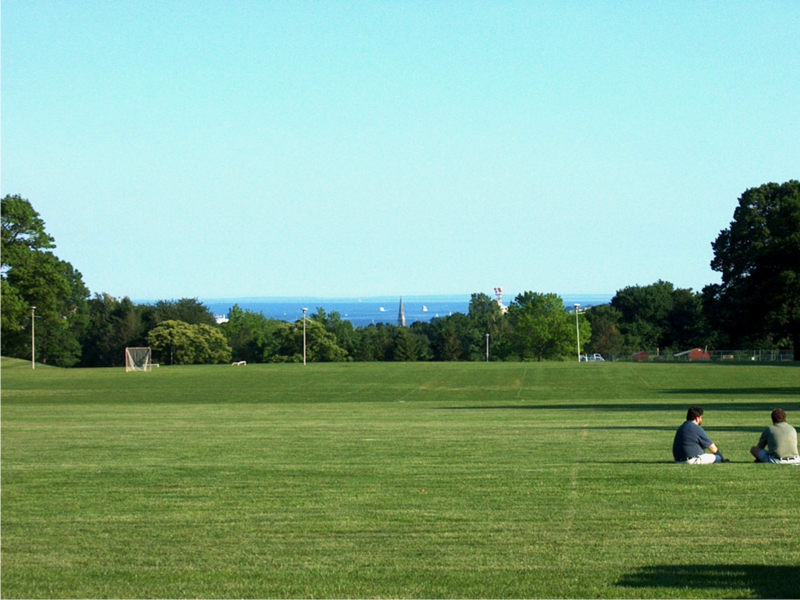 After dinner, several attendees took advantage of the large, open field on the Connecticut College campus (next to our dinner tent) and started throwing the frisbees. I stayed in the tent and continued to engage in conversations around the dinner table where I was sitting. 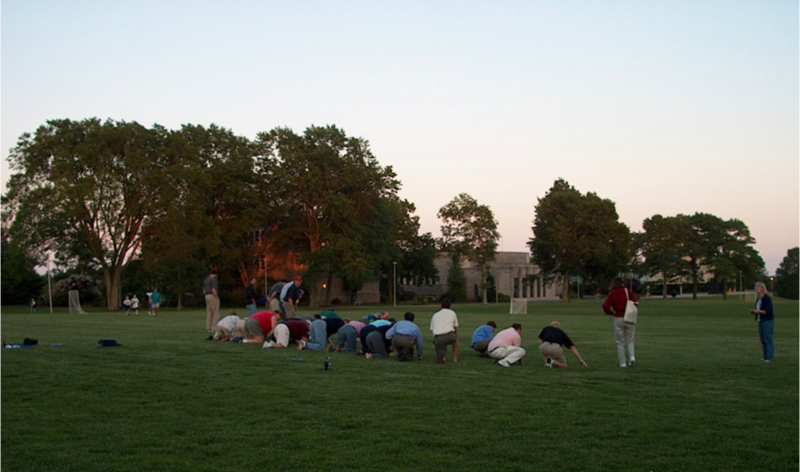 All of the sudden, the frisbee playing stopped, and everyone in the field lined up on their hands and knees and started crawling around. At first, we thought they were trying to build a human pyramid. Then, it looked like they were trying to have some sort of race. I grabbed a quick photo of this, because this was a first for me to see at a professional conference! After what seemed like a long period of time of people scurrying around on the grass, someone jumped up and yelled, “I found it!” It turns out that Jeff Ryan, councilor with the Geoscience Division of CUR and faculty member at University of South Florida, was a little too effective when he threw the frisbee. In addition to the frisbee leaving his hand, his wedding band got caught on the frisbee and flew off his finger! Fortunately, this incredible community of CUR members immediately mobilized, and their efforts resulted in a happy ending. So as we celebrate the fun and adventure of the 2018 CUR frisbee, let’s not forget the original CUR frisbee and the story it has provided us for the archives and for years to come.